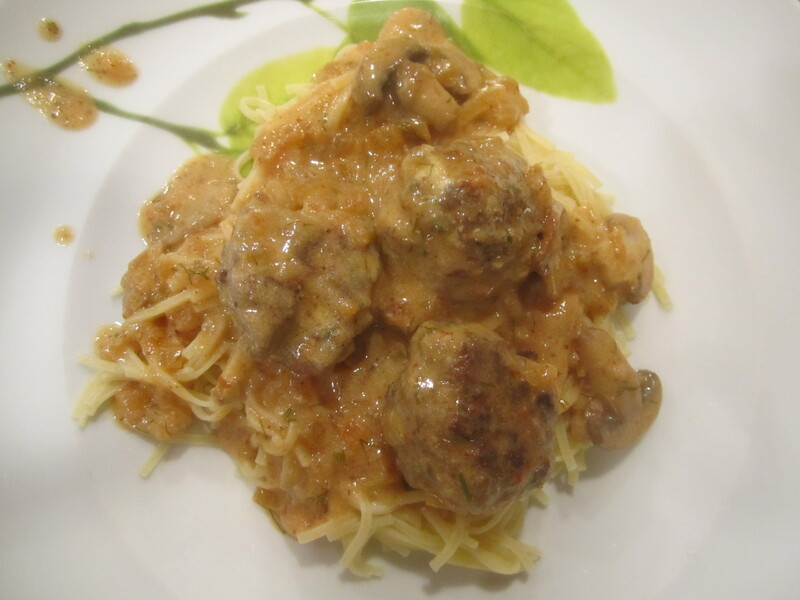 This recipe is from Cuisine At Home, an all recipe magazine (no ads) that does not publish all their recipes from the magazine on the world-wide web. But they do promote some of their recipes through http://www.CuisineRecipes.com and this is where I was able to get the link. Anyway, I used to subscribe to this magazine but stopped. I had too many food magazine subscriptions and this was one I let go. I highly recommend it though, if you are looking for a different sort of food magazine. The recipes are usually all really good! Like this one! 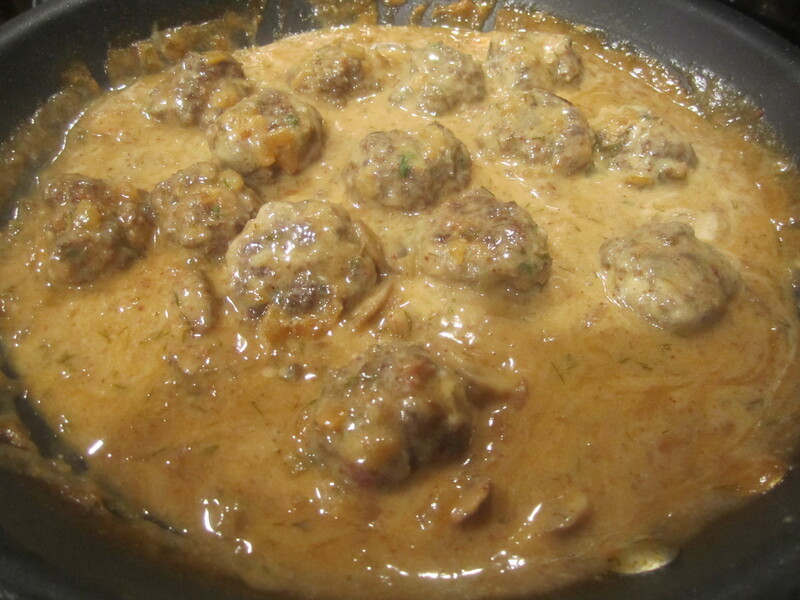 Lots of flavor in the meatballs! I could eat them just as they are, with no sauce. They would probably make great hors d’oeuvre, too, with a little spicy ketchup! mmmmmm………. 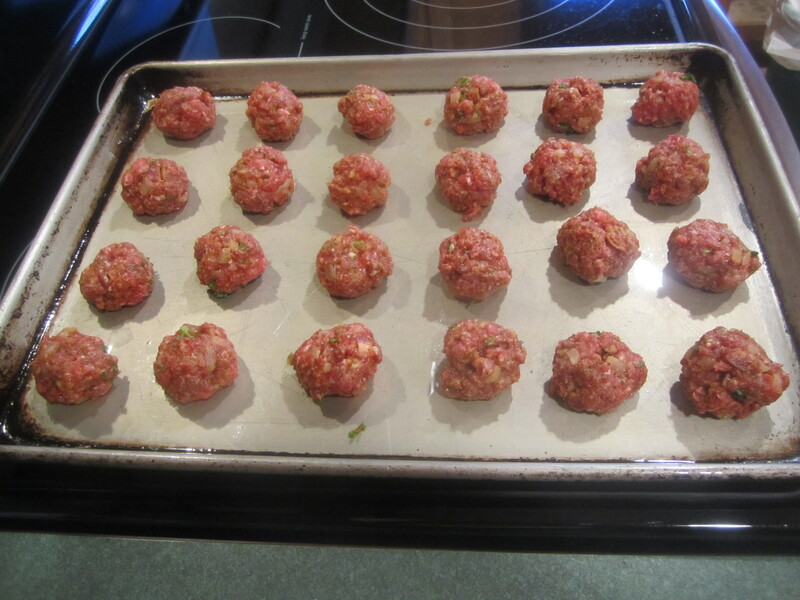 The recipe is supposed to make 28 mini meatballs (that is really mini) but I doubled the meatball recipe as suggested (which is the recipe below) and made them a bit larger, about 1 ounce. But making them mini would really lend to the hors d’oeuvre idea: definitely trying that! Preheat oven to 400 degrees. Spray a large rimmed cookie sheet with canola oil spray and set aside. 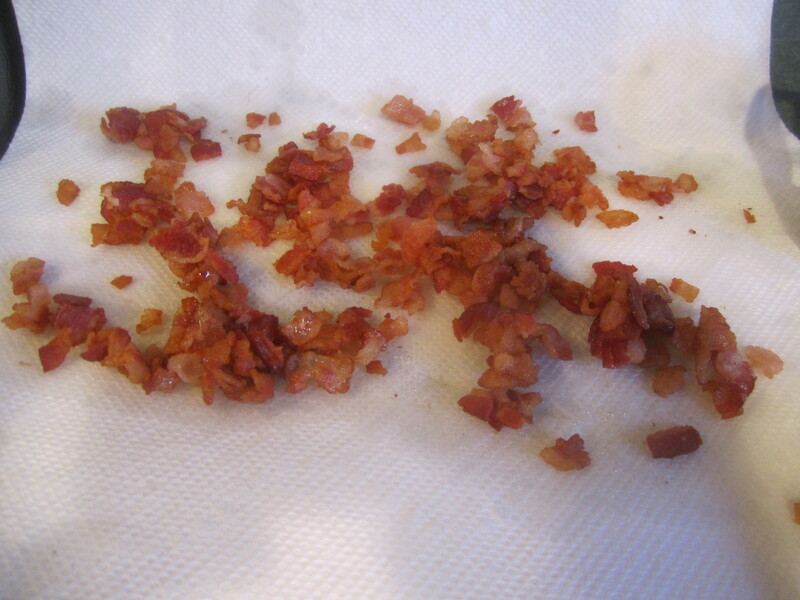 Cook bacon in a non stick fry pan, over medium high heat until starting to crisp, about 4 minutes. Remove from pan with a slotted spoon and set aside on a paper lined plate. 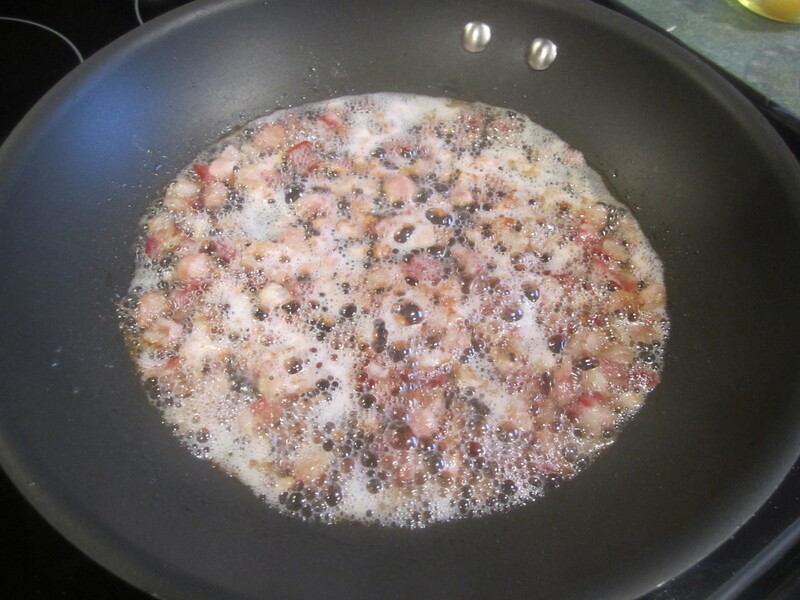 If there is plenty of bacon fat left in pan, pour off all but 1 tablespoon. If there isn’t enough bacon fat, then make up the rest with olive oil to make 1 tablespoon. 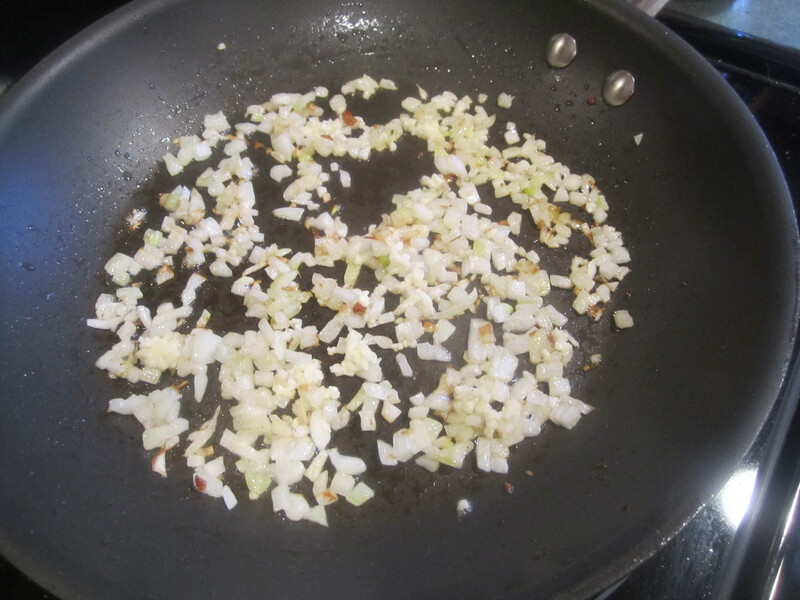 Saute onion in same fry pan in bacon fat and/or olive oil over medium heat until softened, about 3 minutes. 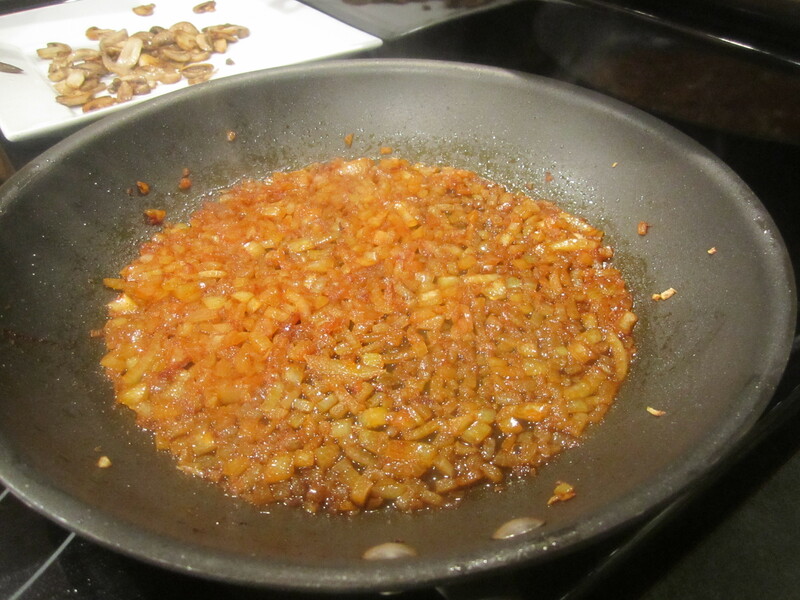 Add garlic to fry pan and cook one minute. 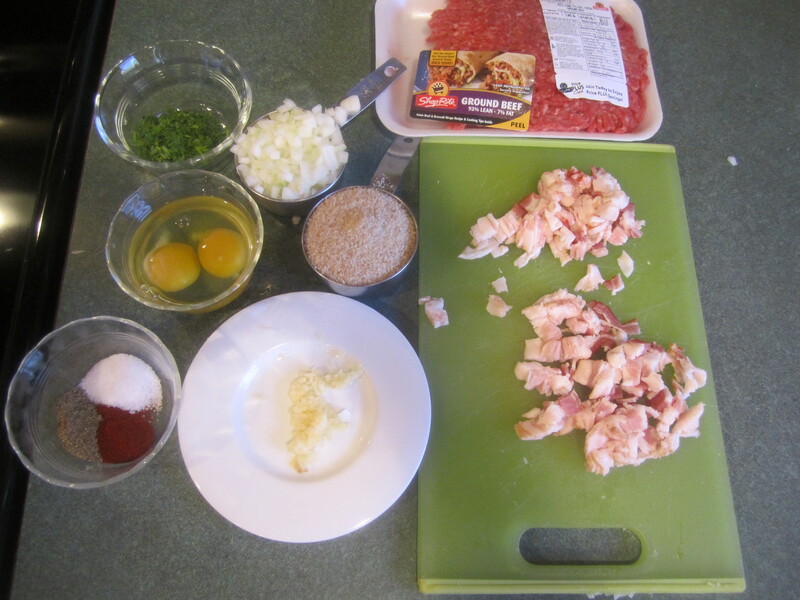 Combine ground beef, cooked bacon, onion mixture, bread crumbs, parsley, paprika, salt and pepper in large bowl. Stir in beaten eggs. 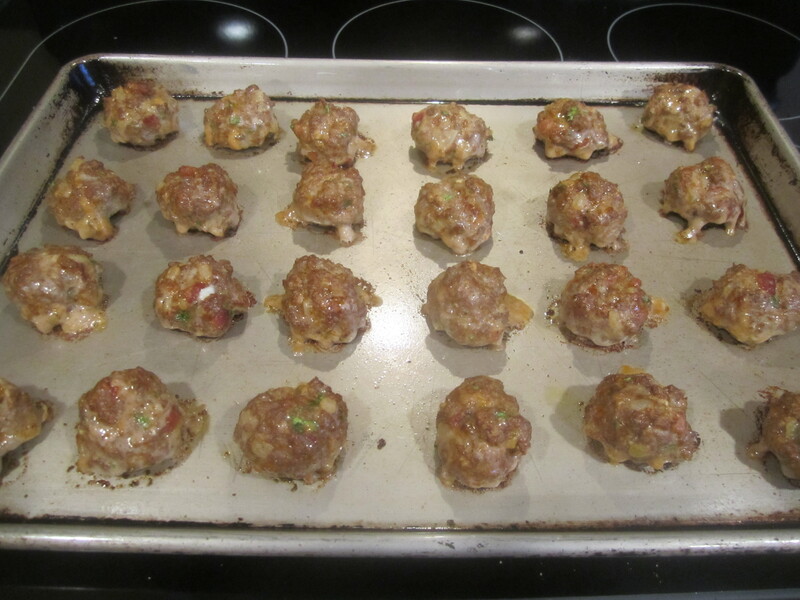 Form into 1 ounce balls (or any size you want, you will just need to adjust the baking time) and place on prepared cookie sheet. Bake for 10 minutes or until fully cooked. 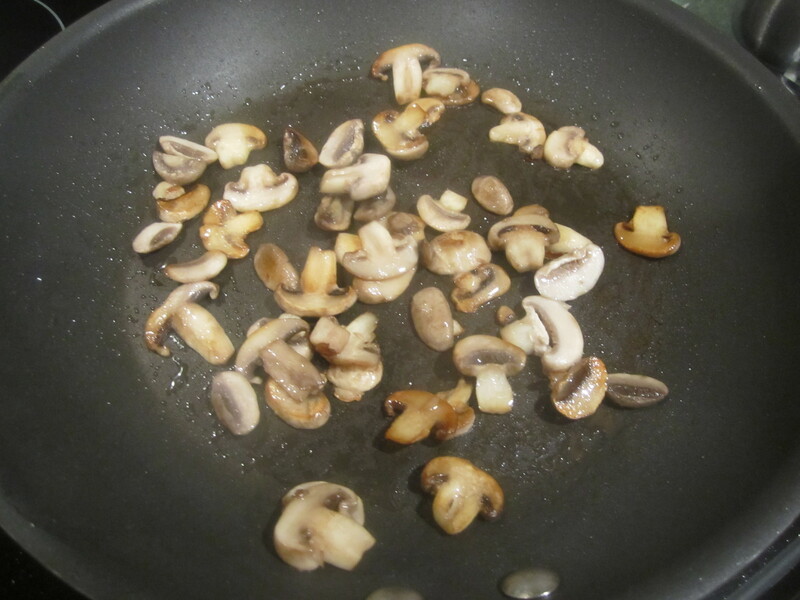 Saute mushrooms in 1 tablespoon oil in non-stick fry pan over medium high heat until browned and their water has been released, about 5-10 minutes. Transfer to a plate and set aside. 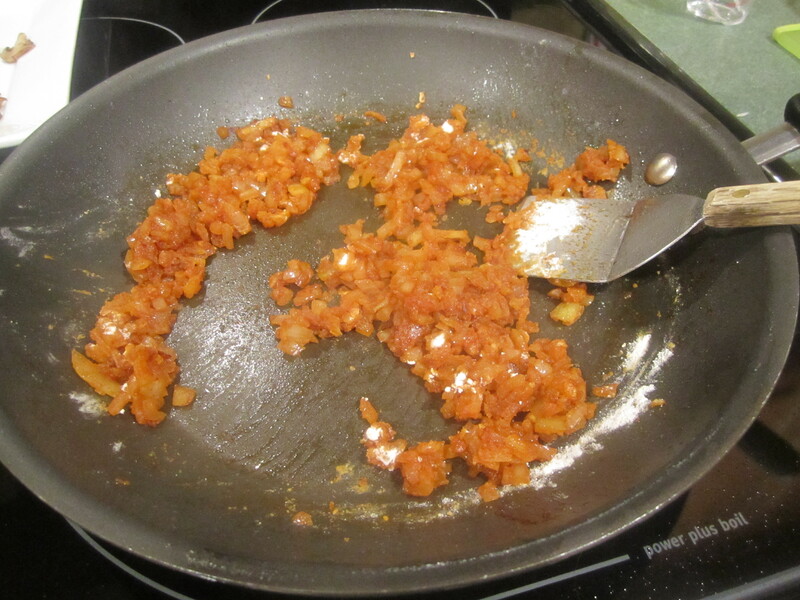 Saute onion, paprika and cayenne in remaining oil in same fry pan until onion is soft, about 5 minutes. 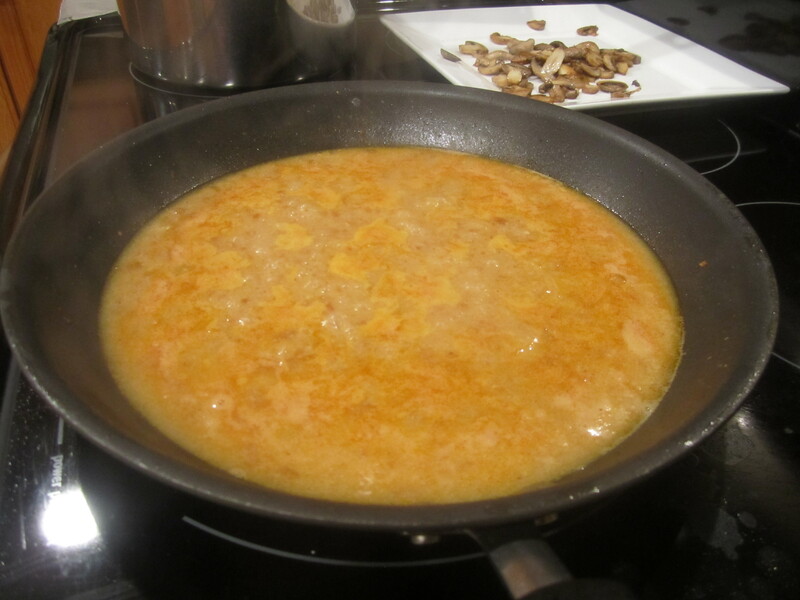 Add wine to fry pan and simmer until liquid is nearly evaporated, about 1 minute. 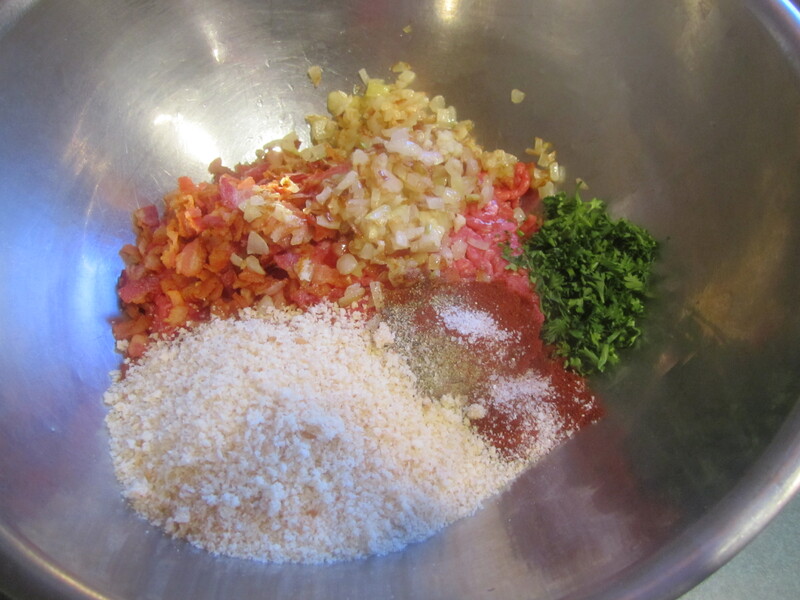 Sprinkle flour over onions and stir to combine. 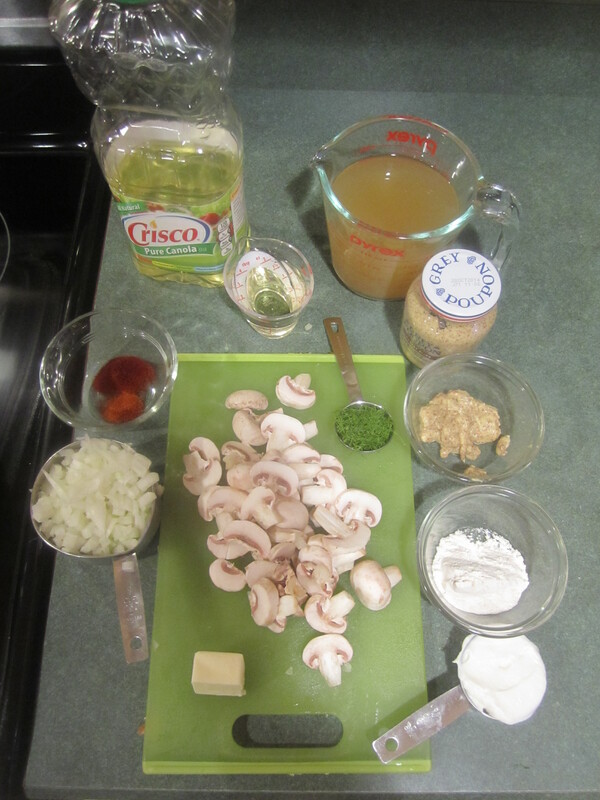 Whisk in broth . 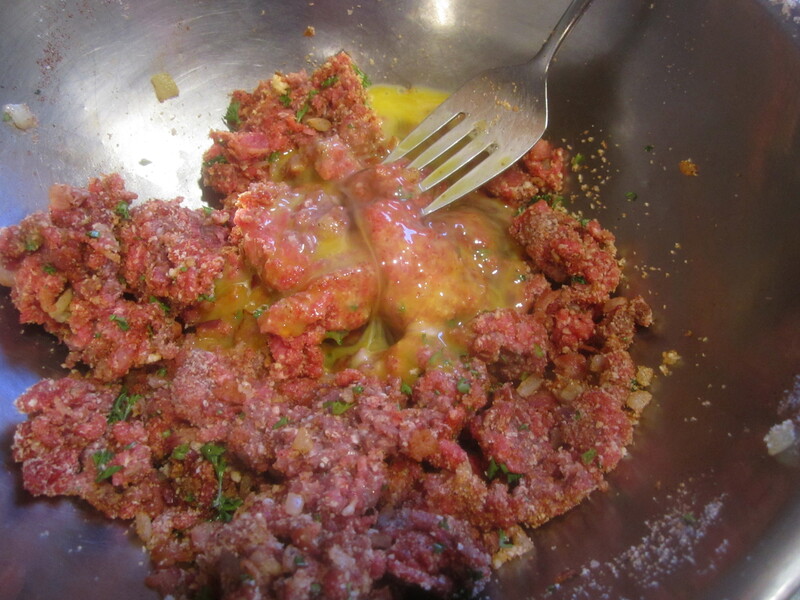 Add lemon juice and mustard, whisk together. 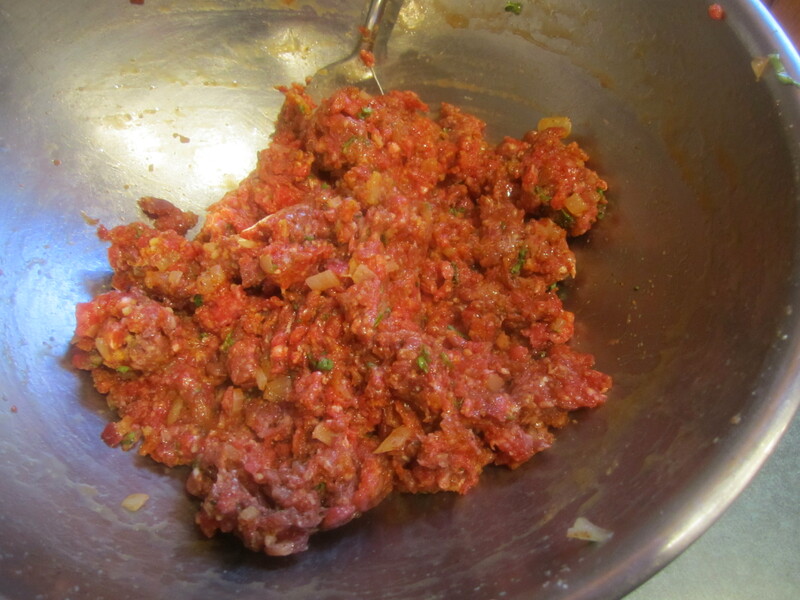 Simmer until thick, about 8-10 minutes. 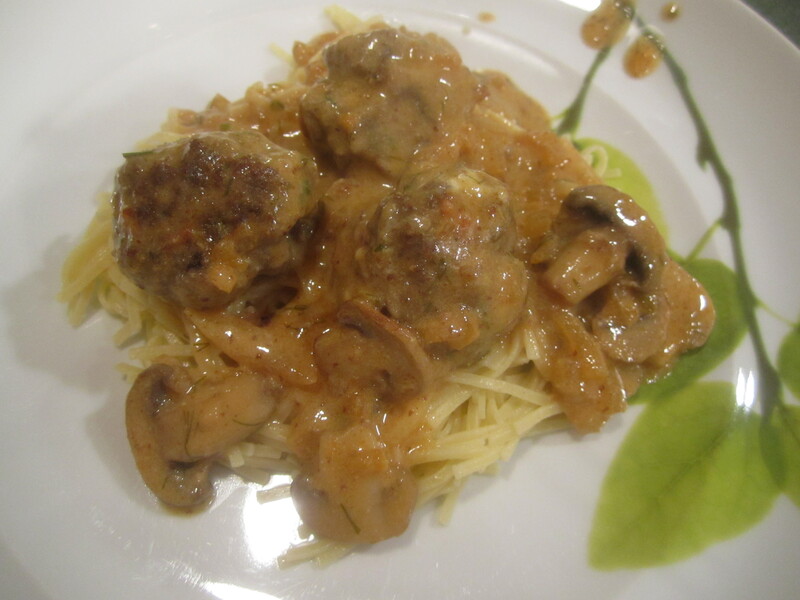 Stir in cooked mushrooms, sour cream, dill and meatballs and simmer until meatballs are heated through, about 3-5 minutes. Serve over noodles or rice.